Railway industry company CAF has entered into an agreement to acquire Solaris Bus & Coach, a global supplier of conventional and electric buses with presence in over 700 cities in 32 countries. With a 2017 turnover of close to €450 million, it has production plants in Poland in the cities of Bolechowo and Środa, and a workforce of more than 2,300 people. With Solaris, CAF will broaden its range of products enabling it to meet the current and future needs in urban transportation, particularly in electric mobility and multimodal door-to-door solutions. CAF’s investment in Solaris confirms our commitment to the vision of profitable growth and opens new strategic markets to CAF. Together with Solaris, we will create a leader in urban mobility solutions beyond rolling stock, particularly in the e-mobility segment. We want to continue using and to develop Solaris’ valuable brand and to keep its Polish character. The combination of both companies’ know-how in production, design, technology and services, together with the track record of Solaris in bus product innovation will allow us to better serve our clients while creating shareholder value. Solaris’ main markets are Poland, Germany, Italy, Scandinavia and the Baltics. In 2017, the company delivered 1,397 buses, including conventional models (diesel and CNG) and a growing number of e-mobility vehicles, where it offers the widest available range of solutions, e.g. hybrid buses, trolleybuses, full-battery and hydrogen fuel cell powered public transport vehicles. Additionally, the company offers related services, such as maintenance and spare parts. In 2017, Solaris Urbino electric bus was awarded the prestigious “Bus of The Year” title. The transaction will open new opportunities for CAF’s urban railway business in Central and Eastern Europe and strengthen its services, electric traction equipment and transport systems design businesses while providing an opportunity to enter and grow in new mobility-related areas. 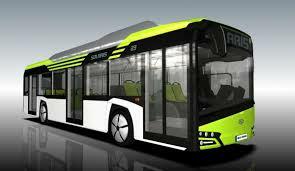 In the bus segment, and complementary to the work undertaken in recent years by CAF’s Vectia subsidiary regarding the development of urban and hybrid electric transport solutions, the agreement with Solaris will allow the enlarged CAF Group to offer a wide range of products in the high-growth market, especially in the e-mobility segment. CAF said that the acquisition is in line with its 2017-2020 Strategic Plan, and will increase its technological capability to offer integrated transport solutions to an even wider portfolio of clients. The enterprise value of Solaris is estimated to be slightly above €300 million, with the final amount to be determined at the closing of the transaction based on the relevant adjustments. This value results in a PER ratio for Solaris based on 2018 estimates below CAF’s 2017 ratio.